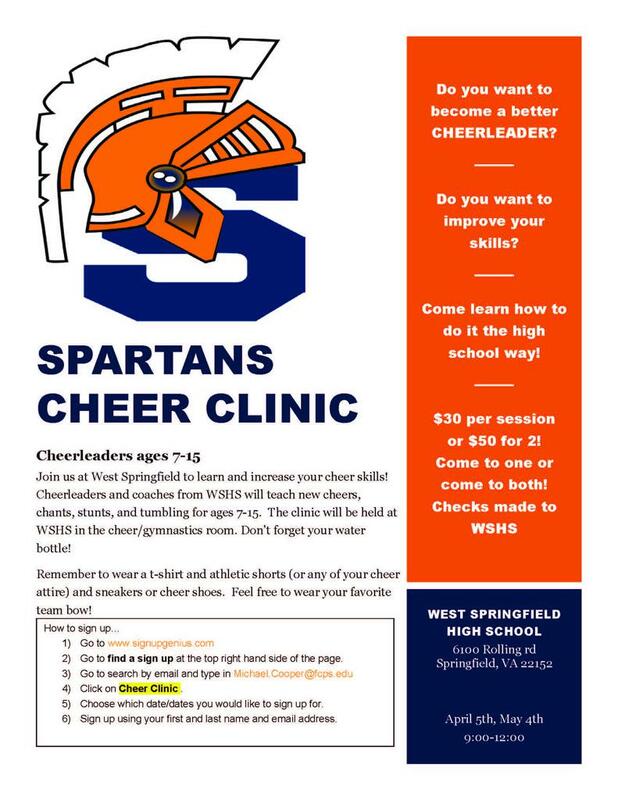 West Springfield HS Cheer is hosting two cheer clinics! Cheerleaders and coaches from WSHS will teach new cheers, chants, stunts, and tumbling for ages 7-15. The clinic will be held at West Springfield High School in the cheer/gymnastics room. Join WSHS Cheer to learn and increase your cheer skills! Wear a t-shirt and athletic shorts (or any of your cheer attire) and sneakers or cheer shoes. Feel free to wear your favorite team bow and don’t forget your water bottle!